A nice piece on William Dalrymple. 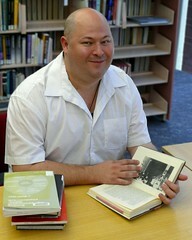 I've always admired his work, and in Australia he is published with my own publishing house, Allen & Unwin. Oh, and I had the great privilege of sharing a place with him on Sydney Morning Herald's Top 10 Travelogues of 2010 list! Snooki regrets hooking up with Vinny. I live for this stuff. Francis De Sales is Patron Saint of Writers, apparently. Can we please end all discusion of "The End of Criticism" - I'm bored, already! 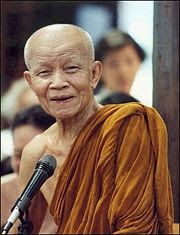 Anyone who has been to Thailand will recognise Ajahn Maha Boowa's face. He just passed away, bless him.